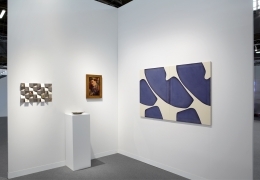 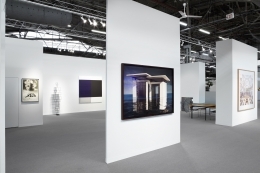 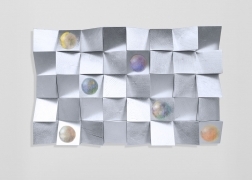 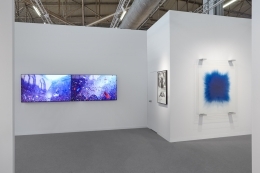 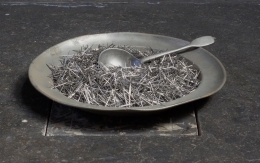 Sean Kelly is delighted to participate in the 25th Anniversary of The Armory Show where we will present a diverse and compelling selection of new work by the gallery’s international artists including a new video by David Claerbout focusing on a single moment in time taken from an event resembling a local US election celebration; Antony Gormley’s sculpture evincing a high-rise building made in human form that replaces anatomy with the syntax of architecture; new work by Kris Martin, who recently joined the gallery, and is recognized for his rigorous conceptual practice in which he addresses existential questions with subtlety and wit; sculpture by Laurent Grasso which is inspired by the walls of anechoic rooms in which sound and magnetic waves are muted, echoing the reflection of both sound and light; a photograph from Alec Soth’s new body of work which focuses on individuals, posing questions about what these images reveal about both the sitter and photographer, an exhibition by Alec Soth will be view in the gallery opening March 21st; and a new drawing by Shahzia Sikander that incorporates phrases inspired by legendary poet Ghalib, which through their repetition highlight the constant layering and shifting interpretations of history. In addition, we will present important new work by Marina Abramović, James Casebere, Jose Dávila, Candida Höfer, Ilse D’Hollander, Callum Innes, Idris Khan, Hugo McCloud, Landon Metz, Sam Moyer, Janaina Tschäpe and Kehinde Wiley. 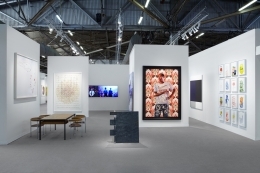 Thursday, March 7, 9:30 a.m. – 1:00 p.m. 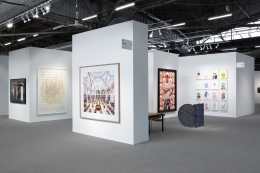 Bringing together a diverse cast of notable art world figures, this panel will examine the question: what does it mean to be a collector today? 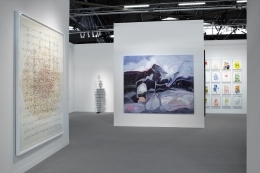 Charting major shifts in the art market—from its global proliferation through art fairs, social media, and increasing speculation from investors—how has the notion and practice of collecting changed over the last quarter century? 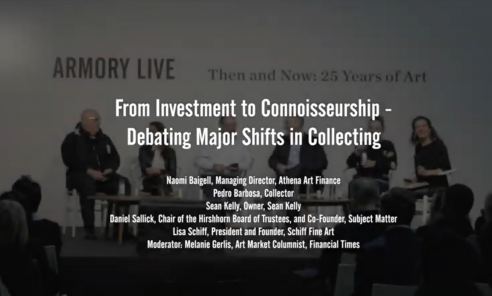 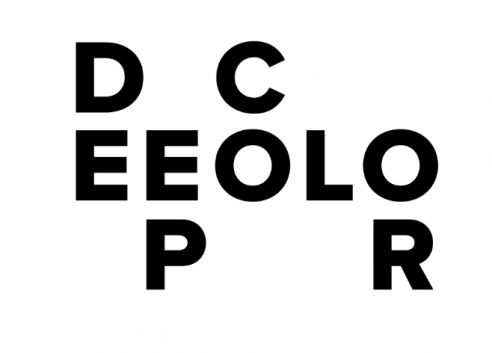 What are the mid- and longterm effects of these shifts, and what role does the art community at large play in cultivating connoisseurship over investment?